A great place to take a walk, search for shells, and enjoy the peace and quiet. So many shells, that some people call it Shell Beach! It's a favourite with early morning risers who make it part of their exercise circuit and others who want to enjoy the spectacular sunrise. 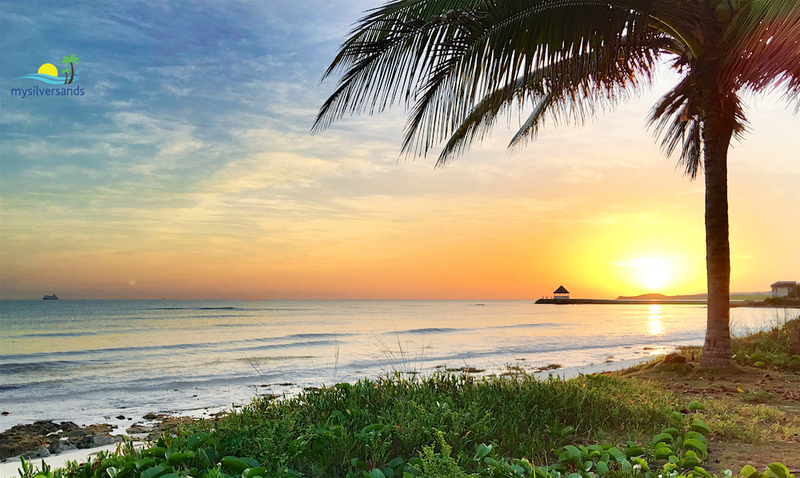 Sunrise from Silver Sands West Beach is always a beauty to behold. This was once the Fisherman's Beach before they were relocated a few hundred yards West to what is now called The Jacob Taylor Beach at Silver Sands. Conch shells can be found here in their hundreds, buried in the sand and in the shallow waters. 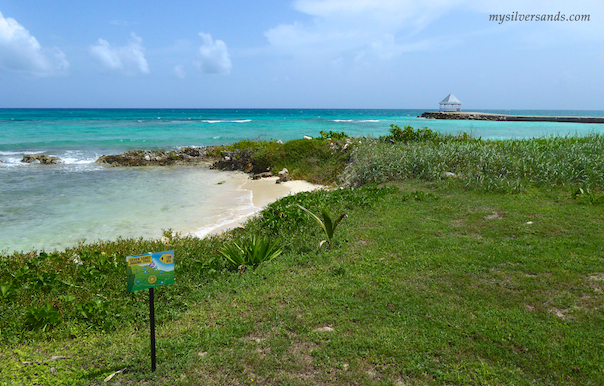 The onshore reef at the West Beach Silver Sands makes it a most convenient spot for snorkeling. Nature lovers can also do some birdwatching as many coastal species including the pelican frequent this area. 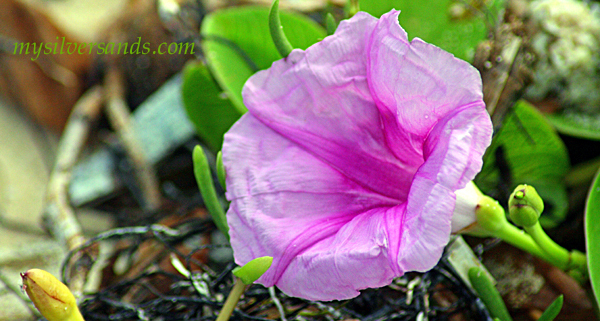 Also, look out for wild plants and flowers, like the Beach Morning Glory (Ipomoea pes-caprae) which is a common tropical vine that beautifully binds the sand as it thrives under conditions of sand blast and salt spray. The Beach Morning Glory looks beautiful while it works hard to keep the sand on the beach.